Throughout 2016 the Irish State is commemorating the events of the 1916 uprising and the consequences of that Easter. Here at Vaughan Lodge Hotel in Lahinch we are remembering the struggle for Irish Independence through the flags that we are flying for the season. All three flags have a significance and place in our history. The Green Flag with the Golden Harp and motto “Eireann go Bragh” ( Ireland forever) was used in 1798 by the United Irishmen as they attempted an uprising. Robert Emmet later used a variation. In 1847 a group of irish men called the “Los Patricios” used that standard as they faught on the Mexican side against America in that war. The other green flag with the lettering “Irish Republic” was raised above the General Post Office in 1916 by Oglaig na h-Eireann lead by Padraic Pearce. We are proud of our own association with the struggles after 1916 where Miko Vaughan played a vital role in local history and suffered the burning of his business by “The Tans” as a result. Each year we try to improve and develop our menu at VL Restaurant here in Lahinch County Clare Ireland. Chef John Gilmartin works out his ideas over the winter and we chat about what our guests like to eat. We also look around for new produce or products from local suppliers like St Tola Goats Cheese, Burren Smoke House, our fish supplier CS Fish and our vegetable supplier Richardsons. Our purchasing is exacting and quality driven. We often refuse produce because it is not presented well or the quality fails. There is a lot spoken about local provenance. We find that we just have to travel beyond Clare for Lamb and Beef, Duck and Chicken. We source from the Midlands, Cork and Wicklow sometimes depending on seasonality. This starter is absolutely melt in the mouth creamy and the fruit brigs some acidity to the palate. Served with some brioche it really is a delight. John Dory is caught off the Doonbeg Coast by Cathal Sexton and we get it within hours of arriving on shore. It is a lovely light fish with bite. The Broccoli and Samphire combine well adding texture and the Prociutto adds a crunchy smokey dimension. There is an elegance and simplicity about this dish yet this combination of flavours is not an easy balance to achieve. What a delightful way to finish off a lovely meal. The summer is nearly here and served to you on plate. My Dad Micheal Vaughan passed away from life on December 18th 2013 following a long battle with Dementia. It was hard to recognise my dyanamic hero in the final few years. Glimpses of his old self though rare, reminded us of the force of nature that he could be when he was in his prime. At one stage Micheal opeated two hotels, a Garage, Post office and farmed a couple of acres!! He was at the same time president of the Irish Hotels Federation and Chairman of Lahinch development. From an early age Micheal inherited his father Miko’s interest in mechanics and engineering. Popular Mechanics was a magazine that arrived in the house and was thumbed to extinction!! Miko Vaughan had constructed a simple radio receiver which was popular with visitors to Lahinch in the early days of radio. The set would be placed by the window of Vaughans hotel to allow people on the street to enjoy the commentary. Miko also looked after the generator and acid battery network for the old Aberdeen Arms hotel. Micheal would assist him and he learned fast. He assisted the great Jimmy Williams in the Rural electrification of much of North Clare and was always on hand to neighbours and locals who needed something to be fixed or installed. The family homestead of Vaughans was burned down by the ‘Tans in reprisal for Rinneeen. The hotel was not to be rebuilt for a number of years as times were tough. Eventually the new homestead was up and running and the renewal gave Micheal a sense of redevelopment that never really left him afterwards. His schooling was at Lahinch, Ennistymon and later St Marys Galway. He had always wished to learn law but the early death of his father and the poor state of the family fortunes kept him at home. It was to be to the benefit of Lahinch. Micheal set about learning all he could to survive in the war years. Self sufficiency was key to everything. He obnserved the pattern days that brought much commerce to Lahinch in the height of the summer. A bad day however, could decimate a year’s profit. introduced his good friend Dr Paddy Hillery to the comhairle dail ceantair in 1951 for selection as a candidate for Clare. Micheal became Paddy’s election agent. Micheal understood politics and had decided his place. He used his contacts and advocacy to lobby for development in Lahinch. an early co-operative effort to replace and extend the old promenade was well supported by local citizens and farming families around Lahinch. They rallied around the talisman and gave up evenings and hours to get the ‘prom’ constructed. Reception desk at the Aberdeen Arms circa 1980. John Vaughan foreground with Anne O Meara reception. The success of that venture emboldened the young tireless Vaughan and he conjured up an all weather facility to bring families to Lahinch. 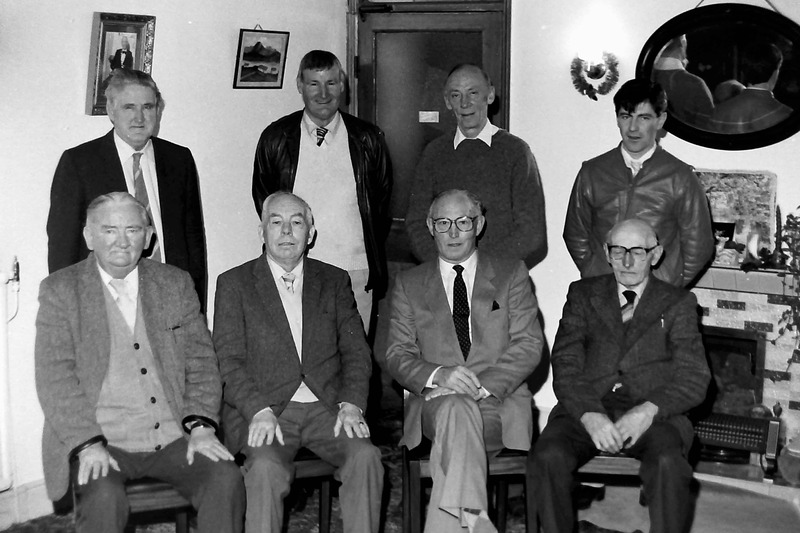 The Lahinch Development Association was reformed and began a money raising drive. Fair days, Fetes, Auctions and fun days were all run with the intention of raising seed capital. political contacts persuaded Bord Failte to grant aid the construction. Michael Mc Namara was the contractor and it was his first major civil engineering job. The quality of the build was undoubted and still stands today. Jackie Donnelly RIP became the first manager of the Entertainment complex complete with Cinema/Theatre, Ballroom, Outdoor swimming pool and cafeteria. The Lemass era of the state was reaching out to the west. 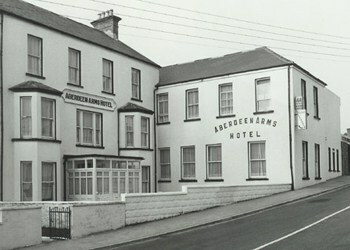 Lahinch became a mecca for family holidays and Micheal continued onwards, buying the Old Aberdeen Arms Hotel in the village from paddy Chambers and in a short time adding a further 30 rooms to bring it to 55 bedrooms. Moving with the times the rooms were “en suite” and there was ample parking. Nationally Micheal was a great proponent of training for the industry and was a founder director of the council for Education, recruitment and Training – otherwise known as CERT. He chaired the Regional Tourism Board, Shannonside Tourism for over ten years. Following on from his successful term as President of the Irish Hotels Federation, he later Presided over the Irish hospitality and Catering Institute. Locally along with his beloved brother Kevin Vaughan, he attempted to establish a Co-Operative in North Clare to secure Agricultural development and processing of food. Micheal loved nothing better than being involved with active people. He was rarely found slouched on a chair or restful. His energy was always raw and seeking purpose. Micheal married Philomena Goulding in 1950 and it was a long and fruitful marriage. Three girls and two boys ( twins ) issued and three of the five joined Micheal and Phil in the family business. Phil was the backbone of efforts. Micheal would play a great PR role and front of house duties. It was Phil who managed from behind the scenes and ensured order and standards. Philomena was trained by old Mrs Huggard in Waterville and later worked for Miss Nora and Mary Hayes of Limerick’s Ardhu House Hotel. The Hayes sisters admired Micheal’s stewarding of the Hotel Federation locally and they encouraged a liaison with their trusted manager Philomena!! Phil helped a less experienced hotelier, Micheal to ascend the steps of hospitality standards. Her cuisine was legendary and very popular at Vaughan;’s hotel. Later when the Aberdeen Arms was purchased, Eamonn Vaughan, Micheal’s brother, returned from Boyle in Co Roscommon and set about managing the hotel. Michel and Eamonn continued together until the Aberdeen Arms was sold in 1988. During his career and life Michael promoted activities that could bring prosperity and enjoyment to the village. He adopted the surfing fraternity and gave them a home for the West Clare Surf Club in the 1970’s. 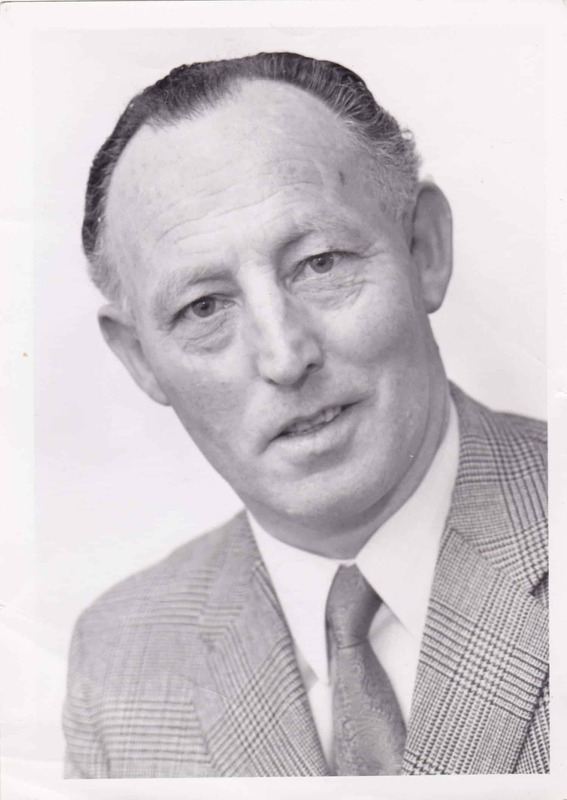 He was instrumental in bringing the European surf championships to Lahinch in 1973. 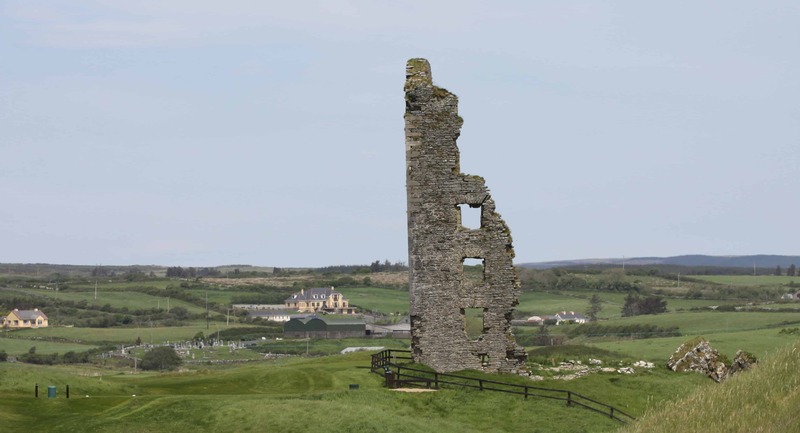 A less known involvement was his intervention to seek grant aid toe Lahinch Golf Club for the construction of the full 18 holes on the Castle Course. Bord Failte granted a significant sum as a result and it ensured the further success of the club. Vaughan’s hotel was sold to local man Odhran O Looney in 1971 but had been renamed The Atlantic Hotel by then. A series of recessions in the 1970’s and early 1980’s made hotel keeping hard going in Lahinch. At 67 Micheal decided to retire due to poor health. His decision to seel was as impulsive as any of his great decisions in life! In the winter of 1988 he passed on the keys of the Aberdeen to Gerry Norton. He was rational and un emotive about giving up his life’s work. The truth was that no building ever defined Micheal. He could live out his life knowing that he had reached a Zenith and gladly let others continue the work. A similar approach was taken to the Lahinch Centre by the beach. Micheal had spend years and considerable amounts of his own cash in trying to bring a vision of a resort to Lahinch. He wanted a Marine exhibition and interactive displays. An indoor swimming pool was a must. The state was the only entity that could make it happen and he along with his fellow directors handed over the entire building and sea front lands to Shannon Development. There was a selflessness among Micheal and his vintage that would not allow themselves to profit when a greater good could be achieved. It is disturbing sometimes to see the elements of greed and populism in Lahinch today and to remember the tenets of previous generations who made the resort great. Personally, Micheal was well read and a great conversationalist. he enjoyed a good story and the telling of it. he was a regular contributor to radio and occasionally on television. He made a documentary about life in Lahinch in 1988 called My Own Place. he was often heard with Paraic Dolan, Donnacha Dualing , Ciaran Mc Mathuna and others. Michael had a warm disposition and was very engaging. An argument with Micheal was a memorable occasion and he could be very curt and abrupt. he had however a deep Catholic faith and his remorsefulness following an altercation would make amends for any intemperate actions. As a family we all enjoyed a loving strong father who always had our best intentions at heart. We respected him and inherited many of his outstanding qualities. We are proud of his life and contributions and much saddened by his passing. At 91 years Micheal had lived out a life to the full and though he departed in anonymity due to his illness, we are happy for the repose of his soul. RIP Dad. You would be forgiven for being puzzled when deciding what name to call the village you have just entered and where we reside, Lahinch. The main road from the east is the N67 and as you approach you meet a wonderful stone gilt engraved sign welcoming you to Lahinch!! The name Lahinch derives from the Irish name Leacht Ui Chonchubhair which is translated as the tomb stone of O’Connor. O Connor’s castle is to be seen at the mouth of the Rivers Inagh and Cuilneach by the bridge on the R478 or Liscannor road as we prefer to call it. Legend has it that O Connor is buried in the grounds of the castle. 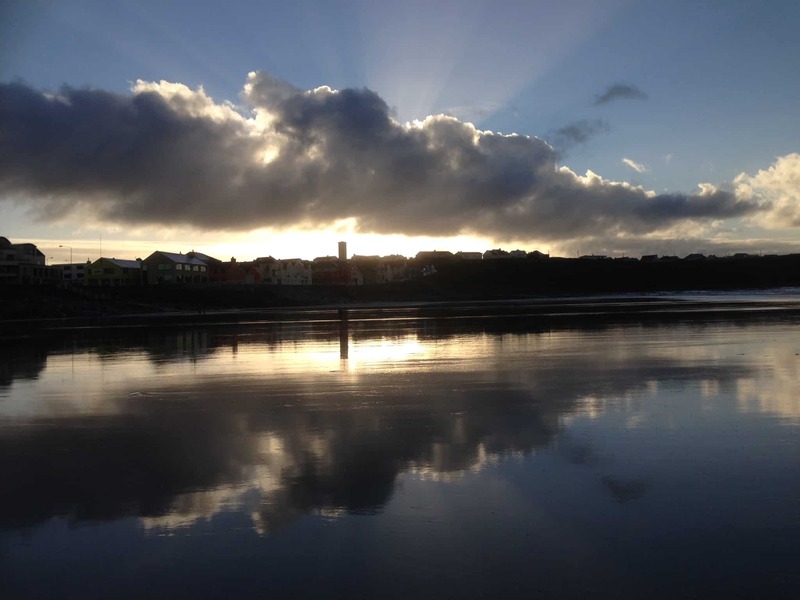 The name Lahinch has been in use for well over 120 years and should therefore be considered as the official name for the village. The crux of the issue goes to another more Anglicised naming of the village taken from the Irish description of the village as “leath Inse” which literally translates as “Half an Island”. This accurately describes the topography of the village which is bounded on the west by the Atlantic and on the North by the rivers Inagh and Cuilneach and Dealagh. The resulting annexing of territory to water makes us … half an island!!. 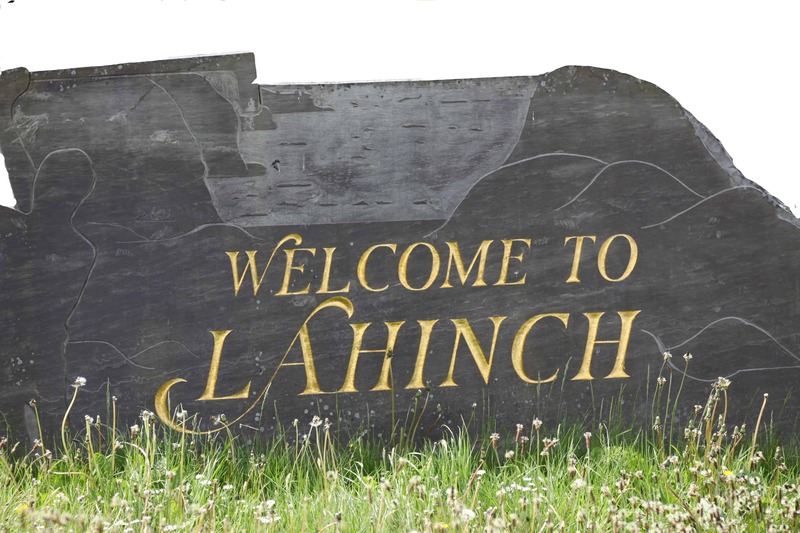 In the old Anglo maps for the area the general barony is called Lehinchy and it was often referred to phonetically as Lahinchy ( derived from leath Inse ) The signs which have appeared in recent years were inspired by a special commission set up by the County Council to examine the correct place names for towns and villages. they took inspiration from old maps and historic records before unilaterally imposing our new moniker… without any public debate. Thus we have signs like the one on the right as you enter Lahinch. The objection to this name is that if it is deemed to be the official name for the village then why use the Irish translation of An Leacht? the fuller Leacht Uì Chonchubhair should be used. 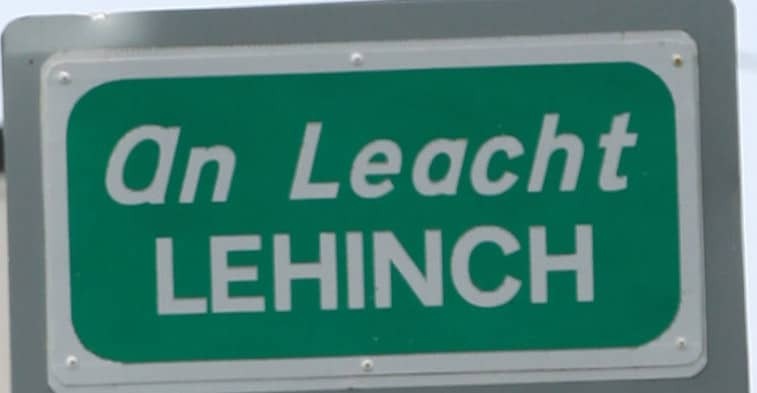 More correct however, would have been “Leath Inse” which gives Lehinch its true meaning!! The mind boggles at the contortions which brought all this to pass on us in Lahinch. You might ask if we have any backbone at all against the irreverence foisted on us by the NRA and the Clare County Council sages? Well it seems there is one at least who agrees with me and has taken crude if not affirmative action. The less than professional correction to the sign is on display at the “New” Bridge on the Liscannor road. We should salute the effort as being one of a true spirited Lahinchite or Lahinchonian !! Would that the officials who foisted the anomaly on us would take a leaf from the sage who half amended the previous work of questionable validity. The fine village of Lahinch deserves to be treated better. If a name is in popular use for over 100 years then it has passed the time and entered into official usage. Our sign makers and errectors would do well to heed the course of the vernacular and popular culture and recant their ways. So when you are deciding how to refer to us on Twitter, Facebook and other electronic means…. decide if you are a Johnny come lately go with the flow or stand on well grounded principles. I’m going to continue to use Lahinch in the name of Vaughan Lodge Hotel – The Lodge at Lahinch!!! The golf club will surely not change its name either!! 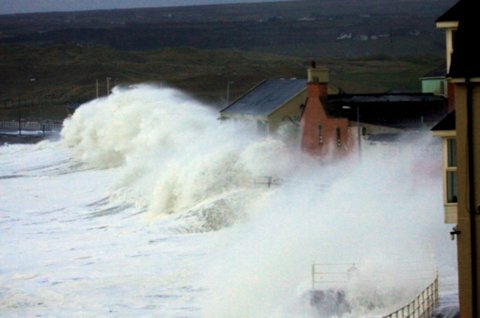 It was relentless for over three weeks and the Golf Club at Lahinch was not left unscathed. Water logged fairways and battered greens have taken the best efforts of the groundscrew to turn around and it is only now in May that the course is returning to its old self. Down the road in Doonbeg where rock armour is in short supply on the beach, the course there has two holes with major damage. The new owner at Doonbeg, Donald Trump has to wait though for the environmental lobby to adjudicate his plans for coastal defense. The beach at Lahinch is returning to its old self bu now although the shifting of sands has caused a new layout to the beach surface than we had before. But that is nature – constantly redefining and resettling. I took this shot a few weeks after the storm on the beach on a lovely crisp Spring morning. There is a serenity on the beach in the early morning that could be therapy for thousands if they could only get here and enjoy that solitary walk with nature!! Luckily for Vaughan Lodge we only had a slate or two removed from the roof and myself and Shane were ably up there and got it sorted before long.